A blog post by Freetest.me, posted on the 6th of February. Here in England, Valentine’s Day is usually celebrated with a box of chocolates, a Valentine’s card and maybe a romantic dinner date. But not everywhere celebrates the day of love like this, or even on the same day. Here are 5 traditions from around the world to inspire you to do something different this 14th February. 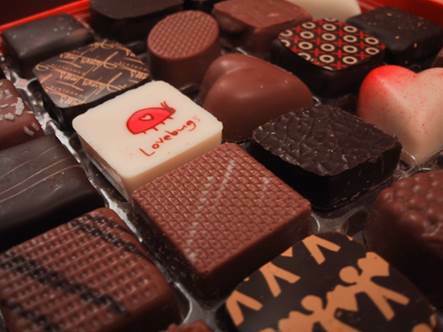 Germans celebrate Valentine’s Day by exchanging gifts of chocolates, flowers and pigs. Yep, you read it right, pigs. The pigs represent love and lust, and can be given to a love interest as a picture, a small ornament or made of chocolate. 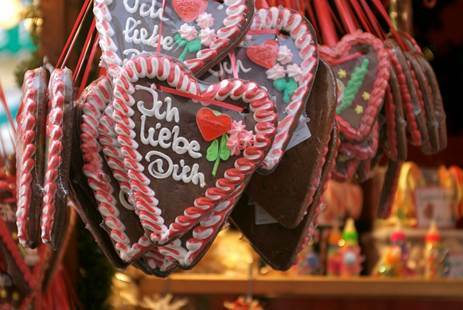 As well as giving their loved one a pig, Germans also make large, heart-shaped gingerbread biscuits which have romantic messages written on them, such as Ich liebe dich (German for I love you). In Japan Valentine’s Day is split across two days. On Valentine’s Day girls will give traditional chocolates called Giri Choco to their male friends and sometimes their male co-workers and bosses. These chocolates don’t have any romantic meaning but are traditional to give on that day. If they want to give a more romantic gift, they’ll include something handmade too. A month later, on the 14th March, it’s time for the guys to return the favour with chocolates and other gifts. This is known as ‘White Day’ and is a tradition in Korea too. According to the history books, Charles the Duke of Orleans wrote the first Valentine’s card because he signed the poem he’d written inside it as ‘Your Valentine’. While the French can lay claim to the first proper Valentine’s Day card, they have another Valentine’s tradition that isn’t very romantic at all. The tradition of loterie d’amour (lottery of love) involved singles gathering in two houses opposite one another. The men would pick their ‘match’ from the house opposite, and if the man didn’t like the woman he picked, he could leave her and try to find another one. As you can imagine, this didn’t go down too well. The women who were left would make bonfires to burn pictures of the men who left them and fights often occurred. Things got so bad that the French government had to put a stop to it all, and the lottery of love was banned. Valentine’s Day, or Valentinsdag as it’s known in Denmark, wasn’t widely celebrated in the country until recently. But the Danes have still managed to come up with their own little tradition that has become very popular throughout the country. 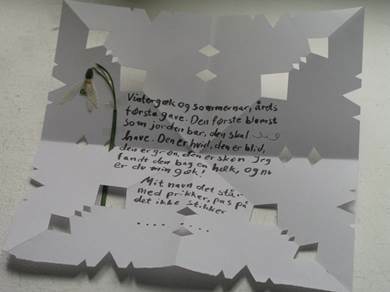 Gaekkebrev are short poems or rhyming love notes that men send to women, with the only clue as to who it’s from being the number of letters in the sender’s name. The recipient must guess who sent the card. If she guesses correctly she wins an Easter egg which she’ll receive at Easter. However if she’s wrong or can’t guess the sender’s name then she owes him an egg instead. Originally Italians celebrated Valentine’s Day as the Spring Festival. Couples would meet in parks to enjoy poetry readings and music before going for a walk together. It was also tradition for unmarried girls to wake up early on Valentine’s Day to spot their future husbands. Supposedly the first man they saw that morning would be the man they would marry. Today Italians celebrate Valentine’s like most other countries - by exchanging gifts and going out for a romantic meal. 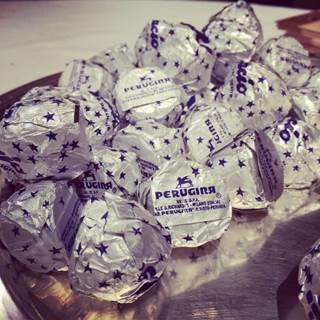 A popular gift in Italy are baci perugina. These are small, chocolate coated hazelnuts wrapped in a romantic quote printed in four languages. Whether you decide to send a Gaekkebrev to your Valentine, or even try to revive the tradition of the loterie d’amore (maybe not), make sure you don’t give your loved one an unwelcome surprise too. Make sure to use a condom if you’re not sure of your partner’s STI status and if you think you may have put yourself at risk of catching one before the big day, get tested!